How often do you take a safety risk working alone that you wouldn’t take, if someone was working alongside you? A risk that you’d warn someone else about if you saw them try the same thing? After all, it’s “only me,” and you’re not setting an example and you know you won’t be caught? Besides… you’re in a hurry and you haven’t got hurt yet! Probably most of us have to admit to this, if we’re honest. Maybe it’s using a hand grinder or a torch without eye protection. Not wearing the helmet or seatbelt “this time.” Troubleshooting equipment without turning it off or locking out moving parts. A quick check in a bin with the unloader running. Hoisting equipment without a jack stand or cribbing. Texting and driving. 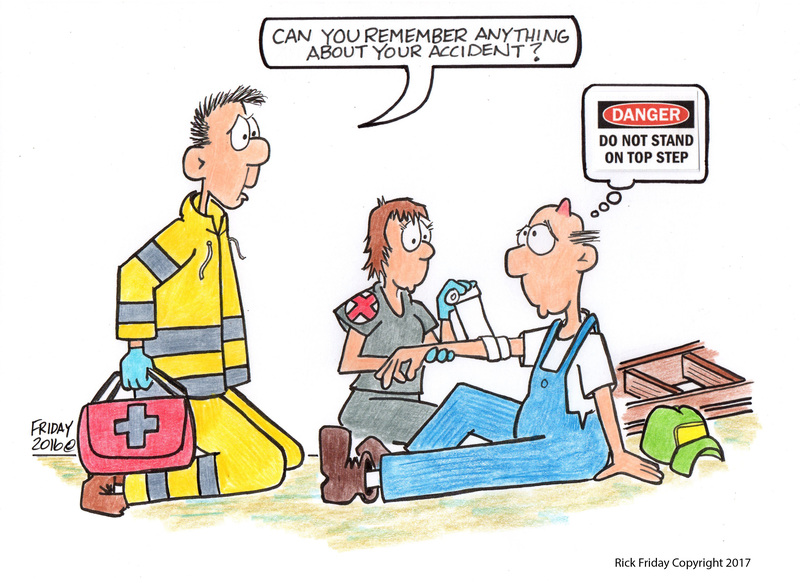 We push our luck – and reinforce a bad habit - every time we “get away with” taking a shortcut around safety. Not getting caught or hurt makes the bad habit seem not so risky. “In manufacturing, there are a lot of reminders” to work safely and to hold people accountable, Rick Friday, of Lorimor recalled, comparing his work at a local Winnebago plant with operating the family’s Iowa Century Farm. That’s not to say there aren’t consequences. Friday and his wife Juanita farm 460 acres in Union County, 180 of which are part of their 122-year old family farm. He’s a life-long farmer and part-time cartoonist, passionate about their 100-head cow herd of “Angus mommas,” two with bloodlines descended from his family’s purebred Herefords in the 1890s. Four years ago, Friday took one of those “working-alone risks” that drove a lesson home. 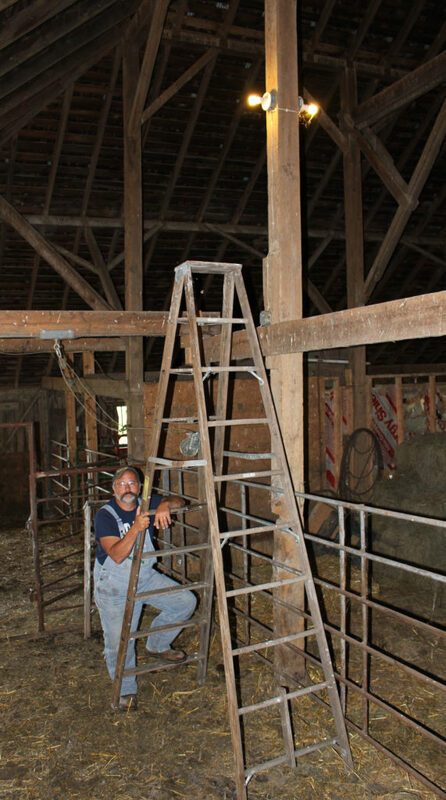 “I was getting the barn ready for calving and was going to replace a light bulb over the pens. "I got the 10-foot wooden stepladder out and climbed onto the top step to reach. It got to wobbling, and then I got to wobbling to counter it,” he explained, waving his arms to illustrate the balancing act. The ladder side rail broke, and he fell 15 feet to the concrete. As it turned out, he’d broken ribs but not his arm. It was over a month before he was up and getting around well. “Lying there, I could just see that sign on the top step. I’d even moved my feet apart on the top step so I could read it,” he shook his head. The ‘somebody’- or Friday- probably would have inspected the ladder before using it, like they did at the plant he had managed. He admitted he wouldn’t have let somebody else get on the top step. “I don’t know if that ladder already had a crack in it.” He didn’t recall taking time to look it over before setting it up, though he knew it was on the level when he started climbing. 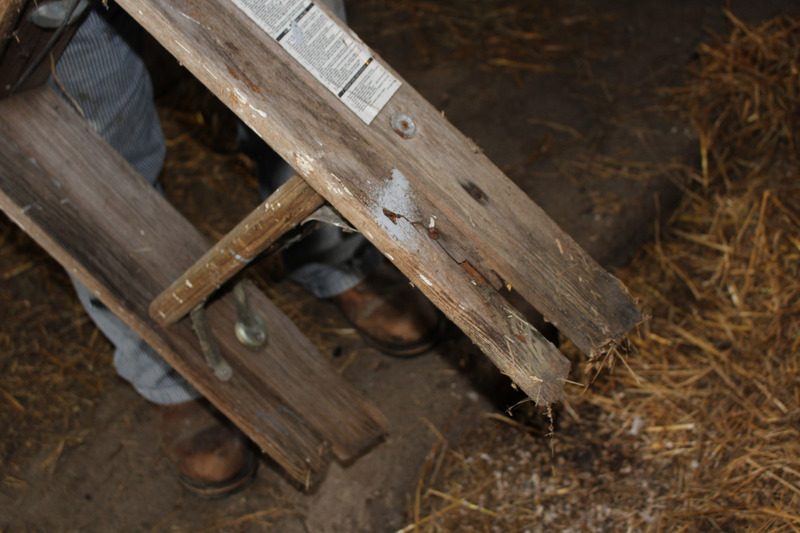 When we went to see where the fall happened, Juanita spotted a cracked rail on a different stepladder and told him to get rid of it. “See! – she won’t let me get away with something unsafe!” he laughed. Friday says he’s lucky to not have been injured more severely. “It’s often the routine things you do by yourself – when you know better and you wouldn’t take those risks if someone else was there to see or discipline you - that can get you hurt or worse,” he warned. Especially during busy weeks, take the precautions when working alone that you expect your family, coworkers, or neighbors to take when you work together – not the short cuts. Work as if someone’s watching you. 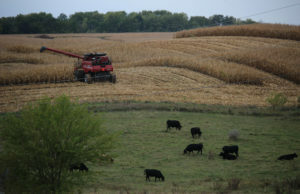 The original version of this story was published in Iowa Farmer Today.